Staying motivated and moving forward towards our goals can be a struggle. Every day we are attacked by negativity, from others as well as ourselves. But what separates happy, successful people from the rest is their ability to stay positive even when fears, uncertainties and doubts are at their worst. 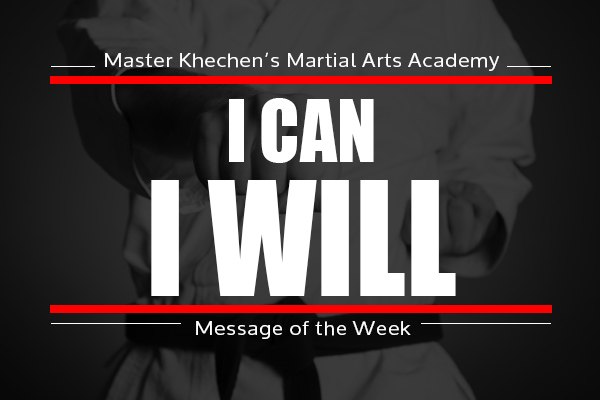 “I Can, I Will!” is a powerful affirmation that is all about your attitude, belief and commitment. It’s about being stubborn, but in a positive way. We all have an internal dialogue, a pattern of thinking that guides us in making decisions. When that pattern becomes overwhelmed by negative thinking, that’s when “I Can. I Will.” becomes so powerful. Be stubborn and believe you can do it. Remember that your brain is a powerful computer that will find the answers for the questions you ask. The trick is to focus on the right questions. So once your mind has moved past the question of “if”, it will begin to work on the question of “how”!